Christine Skelmersdale has been an enthusiastic gardener since childhood and has been the Managing Director of Broadleigh Gardens, a nursery which specialises in smaller bulbs, woodland and foliage plants for 40 years. The 5 acre garden is open every weekday for a charitable donation. 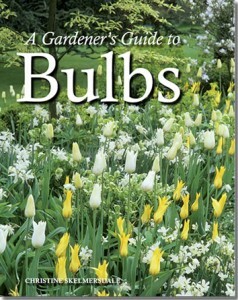 Author of ‘Creative Gardening with Bulbs’ (1989), she writes articles and reviews for, amongst others, The Garden, The Daily Telegraph, Gardeners’ World Magazine and published “Gardeners Guide to Bulbs” in July 2012. She was a member of the Council of the Royal Horticultural Society for 11 years. She was a member of the Gardens Committee, with special responsibility of Rosemoor, for 12 years and is Vice Chairman of the Bulb Committee and a member of the Daffodil and Tulip Year Book Committee. Species peonies are one of her passions and there is a large collection of peonies at Broadleigh. As President of Friends of the Bristol Botanic Garden, she was heavily involved in the move to The Holmes and the creation of the new garden. She remains on the Curatorial Advisory Committee. At the 2009 Hampton Court Flower Show Christine Skelmersdale was presented with the Victoria Medal of Honour (VMH) – the RHS ‘s highest award for services to horticulture. 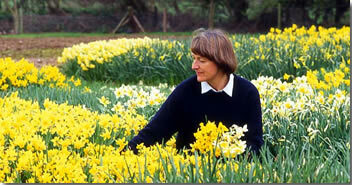 She has made frequent television appearances and wrote and presented the bulb section on the Wisley Collections video.